Thanks to The Butterfly Project Malaysia and My Product Company, we have received boxes of My Beauty's facial masks recently. 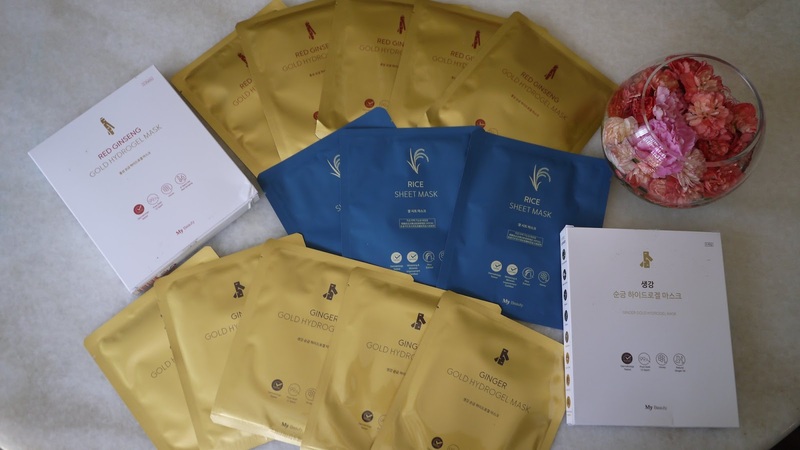 We have shared some of them with our dear friends, we have also tried them out ourselves to see the effect. 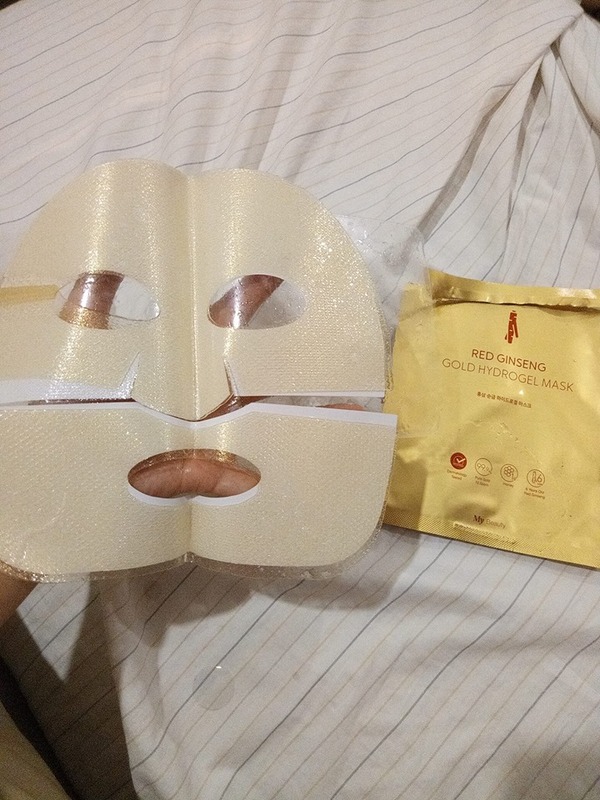 HydroGel Gold Red Ginseng Mask contains real red ginseng essence and gold flakes to help rejuvenate the skin. Once we opened up the pack, we can smell the nice ginseng scent already. 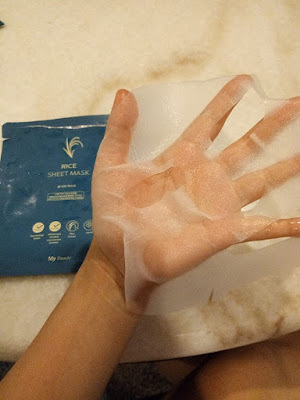 We like to use HydroGel mask because it adheres to skin nicely and it's cooling effect is really soothing. Similar with prior mask, HydroGel Gold Ginger mask contains real ginger essence and gold flakes to help rejuvenate the skin. 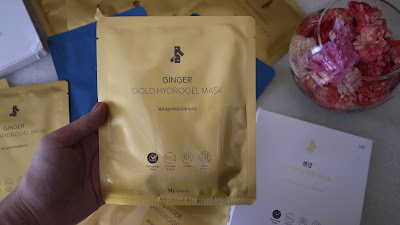 Ginger contains many antioxidant properties hence this mask helps in anti-aging and also improves skin elasticity. Rice has been a famous ingredient in Asian skin care. 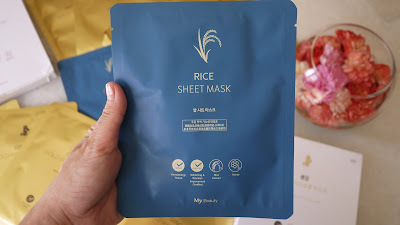 This Rice Sheet Mask pack is loaded with a lot of serum, and the mask sheet is soft and comfortable to apply on my skin. It moisture my skin immediately after use. All these masks are suitable to all skin types, even the sensitive one.